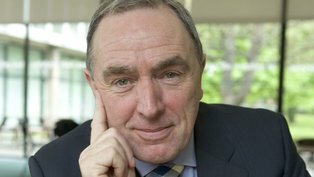 I am saddened to hear of the death last night of the hugely popular RTÉ Sport broadcaster Colm Murray, who was diagnosed with motor neurone disease three years ago. In a moving documentary MND – The Inside Track, aired last year on RTE television, the broadcaster said that he wanted to do something “positive”, despite his personal struggle. His doctor, Trinity and Beaumont Professor Orla Hardiman, hailed him for his willingness “to be of service”, and to help find a future cure by partaking in medical trials. “Colm could easily have laid down to the disease and become a victim but he instead became a champion,” she said. While he admitted at the time that he did not expect to be cured, Colm Murray said that it was his most “fervent wish that the coming years will see giant steps forward in the battle to find a cure”. One in 50,000 people will develop the terminal disease, which attacks the central nervous system, and ultimately destroys all muscular function, but what exactly is this disease? Amyotrophic Lateral Sclerosis (ALS)*, also known as Motor Neuron Disease, targets the nerves controlling the muscles of movement including postural muscles eventually disabling those nerves controlling chest breathing. Interestingly nerves regulating the senses, seeing, hearing, touching, tasting and smelling are not affected. Cognition is not affected – dementia is rare. ALS occurs in 2-5 people per 100,000 with slightly more males affected than females. The origin is still a mystery however elite sportsmen and women are disproportionally affected. The podcast below gives an excellent in-dept explanation of ALS. Lateral = location in the spinal cord; Sclerosis = scarring.